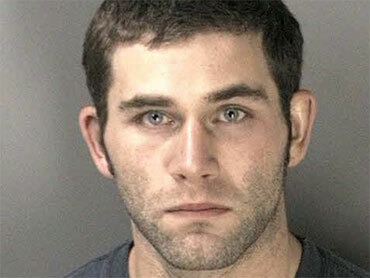 Did "Gay Panic" Lead Ex-Marine Michael Griffin to Kill Professor Don Belton? INDIANAPOLIS (CBS/AP) The final terrifying moments of Indiana University professor Don Belton's life are seemingly not in dispute. His alleged killer, 25-year-old Michael Griffin, an ex-marine, has confessed to police that he plunged a 10-inch military style knife six times into Belton's body, according to court papers. 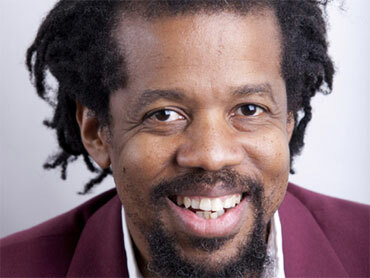 Photo: Don Belton, assistant professor of English at Indiana University. But why did Griffin allegedly do it? The former military man told police that Belton, who was openly gay, sexually assaulted him in front of his girlfriend, while they were both intoxicated on Christmas Day. And because the assistant professor of English refused to "show remorse," Griffin stabbed him to death, according to court documents. Photo: Michael J. Griffin's mug shot from the Bloomington Police Dept. provided Dec. 29, 2009. Despite his alleged confession, Griffin has pleaded not guilty to the killing. And though his defense strategy is not yet clear, others with similar cases have pursued a "gay panic" defense, hoping to persuade juries that they were rendered temporarily insane by the perceived romantic or sexual advances of the victim. 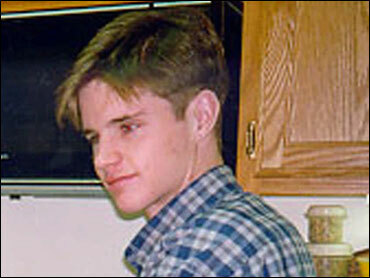 Photo: Matthew Shepard was murdered Oct. 7, 1998 for being gay. In the case of Matthew Shepard, the gay 21-year-old student at the University of Wyoming who was tortured and murdered in 1998, his attackers originally used the gay panic defense, arguing that they were driven to temporary insanity by his alleged sexual advances. Both attackers were given life sentences. One of the highest-profile cases to make use of the defense was that of Jonathan Schmitz, who killed his friend Scott Amedure after a taping of the The Jenny Jones Show where he learned that Amedure was sexually attracted to him. Schmitz was convicted of second degree murder and was sentenced to 25 to 50 years. As for Griffin's case, the marine who lives in Bloomington, 50 miles southwest of Indianapolis, reportedly told police he stabbed the 53-year-old Belton after he went to the professor's home to confront him. The two got into an argument, Griffin reportedly said. A scuffle ensued. A friend who came to Belton's home Monday Dec. 28 found his body in the kitchen, authorities said. Police who were called to the scene found both doors unlocked and no signs of forced entry. Nothing was missing, said police Lt. David Drake. Drake said Belton was stabbed "at least five or six" times in the back and several times in the front of the torso. The affidavit said police found Belton's journal, which contained an entry saying that he was "very happy" that someone named Michael had entered his life. Police later received a call from Griffin's girlfriend saying she thought her boyfriend might be involved in the slaying. Officers who searched Griffin's home Monday night found the knife believed to have been used in the killing, Drake said. The affidavit said Griffin had bought the knife before serving as a Marine in Iraq. Belton, a leading African-American voice in academia, had formerly taught at Shippensburg University in Pennsylvania, the University of Michigan, Ann Arbor, Macalester College and the University of Pennsylvania and had lectured at the Sorbonne. He had also written for Newsweek and The Advocate and edited an anthology of essays on black masculinity, according to the Indiana University web site. English Department Chairman Jonathan Elmer said in a statement that Belton's friends, colleagues and students were "shocked and terribly saddened by the news of his death." "His great talents as a writer, his extraordinary generosity to his students, and his warmth of personality were gifts to us all. We will miss him terribly," the statement said. Belton had taught at IU since fall 2008, the statement said.